If you're in Semarang on Saturday, 9 September 2017, head over to IMA Undip's event where I'd be presenting about Digital Marketing for Semarang Branding on Food and Tourism. See you! 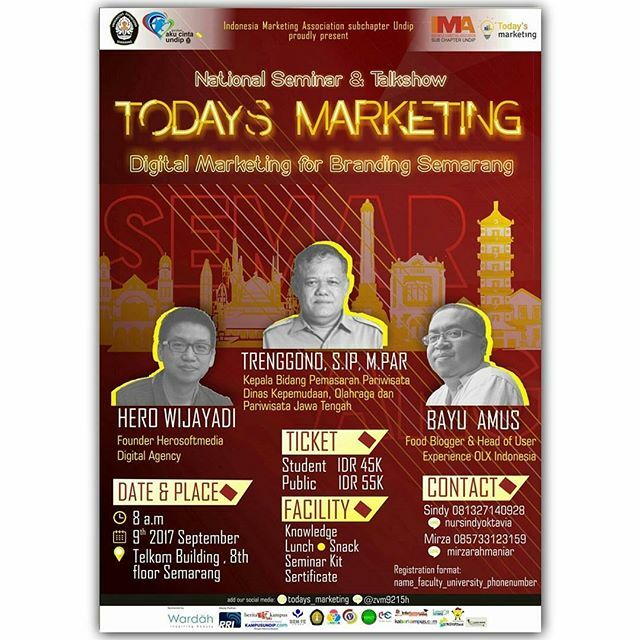 "Digital Marketing for Branding Semarang"